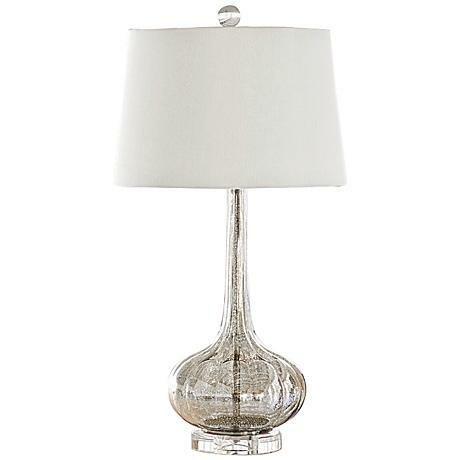 The Milano Antique Glass Lamp is made with antique mercury glass material with a bulbous base that leads to an elegant, slender neck. 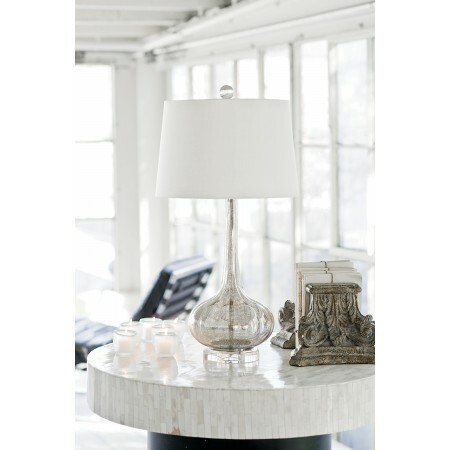 Topped with a natural linen lamp shade. Has a 3-way switch and takes a 150 watt max bulb (not included).